Winning the lottery is many people’s dream, but actually accomplishing it has turned into a nightmare for many bright eyed players. Some people just weren’t prepared for the immense responsibility of having money thrown on them. Fortunately one person’s downfall can make an illustrious story & serve as a reminder for others. If you ever actually win the lotto you need to be prepared to survive the ravaging greed of everyone you know. If you don’t have a plan for what you will invest your money in you will end up being just as broke if not worse off a year after winning. 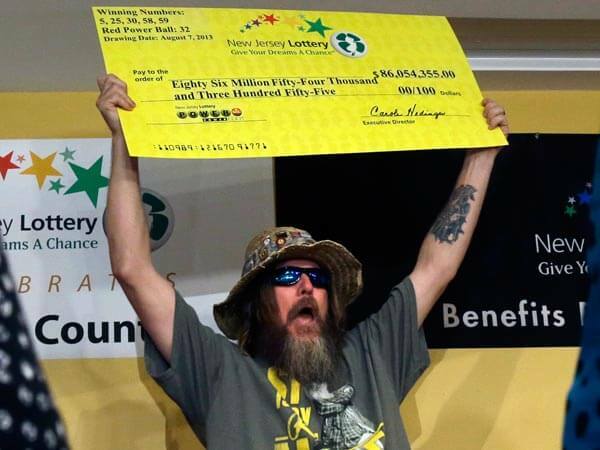 We compiled a list of some of the most inspiring & cringe worthy jack pot winners of all time to give you a preview of what winning the lottery looks like. Enjoy some of the most bizarre & fantastic lottery stories of all time! Story #1: Dying to Win – On 22 January 2004, 73-year-old Carl Atwood’s dreams of winning the lotto finally came true. The Elwood, Indiana native had been playing his entire life just hoping that one day he would hit the jackpot. His lifelong dream became a reality when won $73,450 in an Indiana lottery game that was taped for television. Unfortunately he would never be able to claim his winnings . After picking up the winning lotto ticket Carl decided to head back home on foot. Even though he only lived a block away this proved to be a terrible decision. He was hit by a truck when crossing the street & died a few hours later. The irony of the situation easily survived the crash. Story #2: How to Lose $16.2 Million – William “Bud” Post felt like he was on top of the world when he won $16.2 million in the Pennsylvania lottery in 1988. But the ecstatic feeling was quickly changed by the brutal frenzy of his “loved” ones taking advantage of him. His girlfriend successfully sued him for a big chunk of the money. His brother was arrested for hiring a hit man to murder him so he could run off with a huge inheritance. His other siblings forced him into investing the money into a car business & restaurant deep in the bowels of Sarasota, Florida. Unsurprisingly both ventures ended up going under due to gross mismanagement & negligence by his family members. After all the dust & drama had settled Bud was over 1 million in debt just one year after winning. To add insult to injury Bud had to spend time in the slammer for shooting bullets over the heads of debt collectors. When Selak traveled on a train from Sarajevo to Dubrovnik in 1962 the train mysteriously derailed & plunged into the icy river. Even though over 17 people were killed Frane managed to escape with only a broken arm. The following year Frane decided to take a plane from Zagreb to Rijeka. While in midflight the cockpit door blew off, sucking everyone out of the plane. Frane miraculously survived the ordeal when he landed on top of a haystack, the other 19 people died. He later boarded a bus in 1966 that ended up plunging into a river. Even though 4 people died in the crash, Frane was more than prepared to escape that ordeal. In 1970 & 1973 he had to escape his car as it burst into flames. In 1995 he was hit by a city bus, but survived & managed to drive his car off of a cliff to escape incoming traffic in 1996. At the last minute he jumped out of his car, got caught up in a tree & watched his car explode 300 feet below him. In 2003 Frane got his first taste of real luck when he won $1 million in the Croatian lottery. This has allowed him to live the low key life that he always wanted. Frane said it best when he proclaimed that he can either be looked as “the world’s unluckiest man, or the world’s luckiest man”. Even after all the trials & tribulations Frane still believes that he’s the latter.